Laminate flooring isn't limited to hardwood looks. Revolutions Tile has the texture and depth of real tile flooring. With 12" x 24" tiles and modular formats, you can choose a floor that matches your style. Mannington's visuals have variations in the tile that add to the realistic look. From light to dark Revolutions Tile has a color option for you. Revolutions Tile comes with a 25-year residential and a 5-year light commercial warranty. You can buy a realistic looking laminate that is durable enough for commercial applications with Revolutions Tile. The 12" x 24" tiles are a more traditional look and the modular tiles have different shapes and sizes. Either look will enhance your home or business and will look like the real thing! You can buy any of the laminate floors that Mannington offers here at Flooring.org. We have economical prices on these realistic hardwood and tile looks which make them an option for most homeowners. Laminate offers superior durability and scratch resistance. Laminate floors are great for homes with kids and pets. 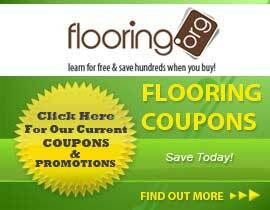 Buy Mannington Laminate at Flooring.org and save big!